A few weeks ago we started a series covering 5 Things We Wanted you to Know about Handbid. In the first post, we covered two of those things: Our Experience and Size. Then we covered the big “Elephant in the Room”: why we encourage bidding using an app vs. the web on mobile devices. We followed that up with a post about transparency and our philosophy on pricing. In this final post, we want to cover something most important to us. We want to tell our story about Why we do what we do. As Simon Sinek so aptly put in his book, Start with Why, “people don’t buy what you do; they buy why you do it.” We agree. So here is our Why. Handbid is no different. In May of 2010, the Porter family just finished their 6th annual Derby Days gala and auction to benefit a charity they founded, the Prader-Willi Syndrome Association of Colorado. While the overall event was a success, Jeff noticed a huge line at checkout and inquired what was going on. The checkout line was due to problems assembling accurate invoices for payment. Poor handwriting on bid sheets, volunteers recording inaccurate information, and missing (stolen) bid sheets all contributed to the issues. They decided after that event that they wanted to use auction software in the future to automate the auction and eliminate the opportunity for human error. In addition, Jeff was running a mobile software company at the time and was interested in exploring the use of mobile phones for bidding. With extensive research, the Porters came across a few bidding solutions but none of them met their requirements. Either they were web-based without an interface you could use from your phone, or they were SMS based (which they felt would not be a good experience for bidders). They were looking for something that would allow bidders to use their smartphone (iPhone, Android) and bid from anywhere. The closest solution they found was from a company that wanted to rent them devices, staff the event, and provide a closed WIFI network for bidding (which meant no outside bidders). In addition, that solution came with nearly a $8,000 price tag. The Porters quickly realized that solutions in this space were either very limiting (feature wise), provided a relatively poor guest experience, and also were incredibly expensive. It appeared to them that only the wealthiest charities could afford this software. Charities deserve better they decided. So they set off to build a solution that would be best-in-class from a technology perspective, provide an engaging guest experience, and be priced at a level that is simple, transparent, and affordable. Handbid was born a year later and made its debut at the Derby Days 2011 event. Auction revenue doubled from $14,000 to $28,000, bidders loved the technology, and checkout took less than 15 minutes. Mission accomplished. 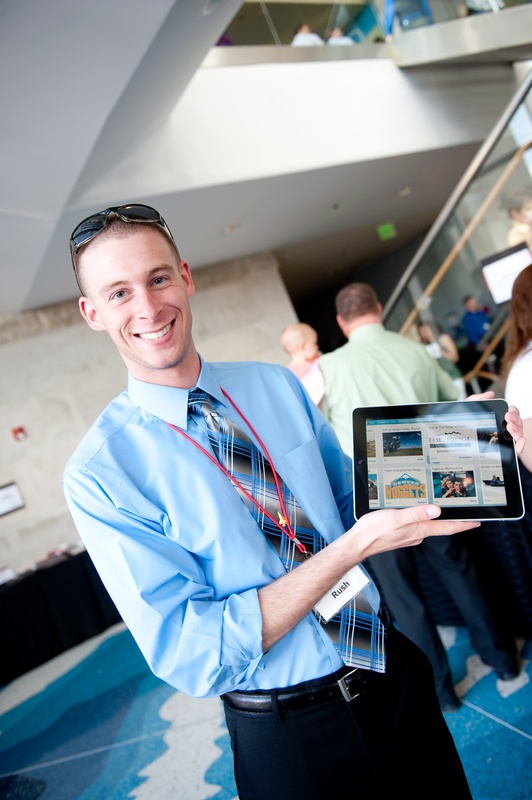 Below is a photo of one of our iPad helpers at that first event! We field the “what” and “how” questions all the time. You know, those questions about what features we have, bidding on an app vs. the web, onSite staff vs. remote support, etc. Handbid was built by fundraisers to help other fundraisers. We have been there and our founders and employees still operate auctions for their own charities. 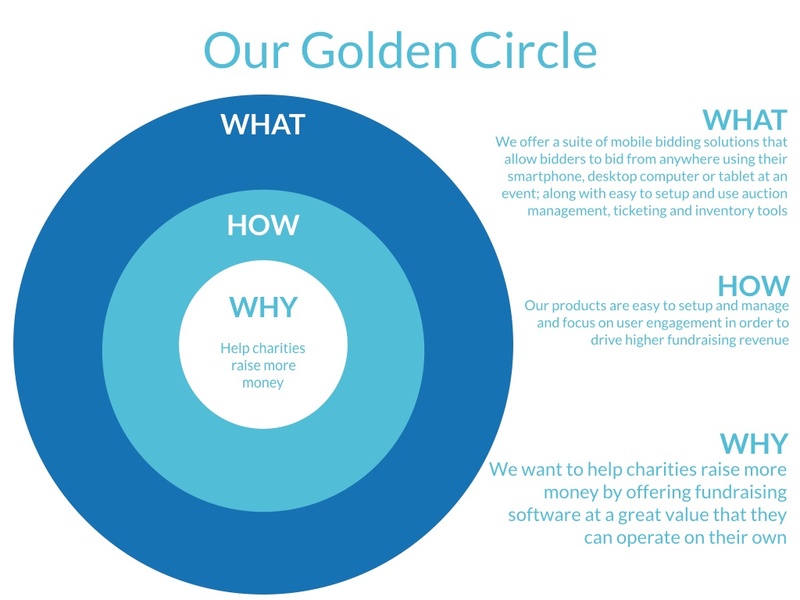 Handbid is the result of years of running auctions for schools and charities and our software reflects the very best practices we have seen and implemented across the years. Handbid is not simply in business to sell you software and staffing services. We absolutely want our customers to meet their goals and their guests to have a great experience. In fact, our system is built around auction goal tracking and it reports out on auction results and who met goals to the entire company. 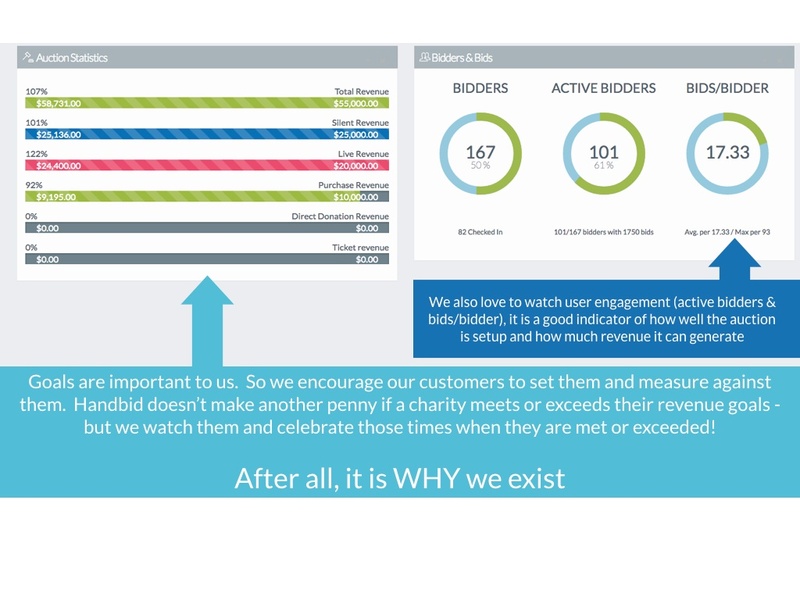 While we don’t make another penny if a customer hits a goal, we celebrate every single time it happens. Because that is why we exist. If you share our beliefs and sign up with us, you become part of a growing Handbid family; and, you can be assured that your Handbid team will do everything it can to make your event a success. Below is a screen shot from a past Handbid auction. You can see in our interface how we track goals and user engagement. We think this is important for our customers to set and understand so they can maximize their revenue opportunity. Otherwise, please reach out to us and setup an appointment to demo our software and see how we can help you raise more money at your next auction event!